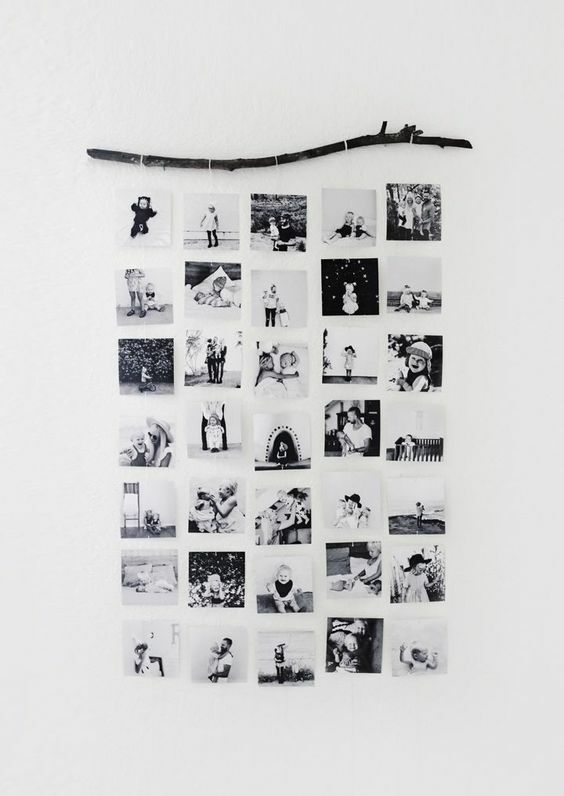 Family photos bring us closer to the loved ones when they’re not here, they let us relive beautiful moments and they also makes our homes cozy and beautiful. 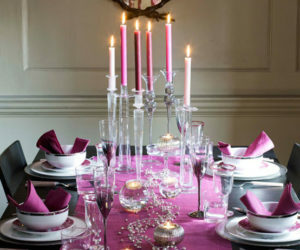 But how can we display them so we enjoy all those things while also creating a lovely focal point for the room? 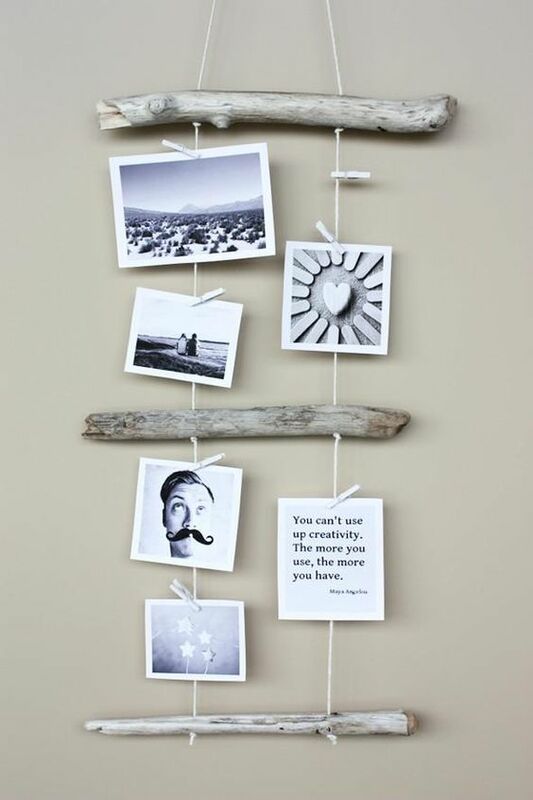 Sure, a few framed photos on the fireplace mantel can look nice but wouldn’t really look interesting. 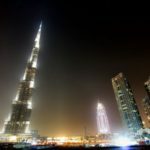 If you want something different then maybe one of the following ideas would be a better choice. 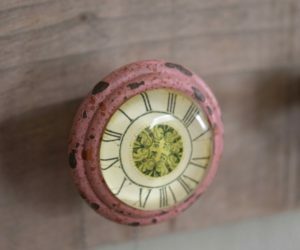 A fun and interesting idea could be to put together a bunch of photos of all family members and cut use them to make a customized wall clock. Instead of numbers from 1 to 12 you could use pictures. 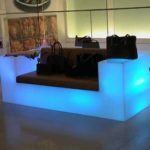 You can also involve everyone in the project so the clock can look appealing to everyone. 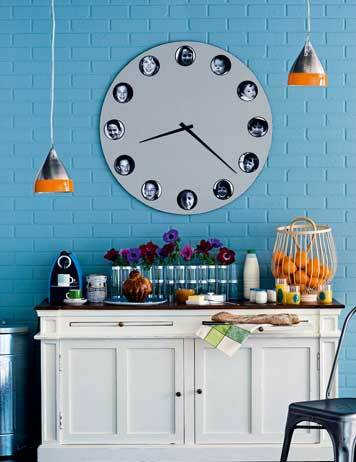 This can be a makeover of an existing clock or a complete project which you can make from scratch. 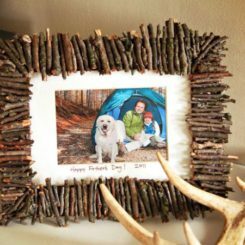 Even though Instagram doesn’t require square pictures anymore, if you like the look you can create a customized display using square photos of family members arranged inside a large frame. 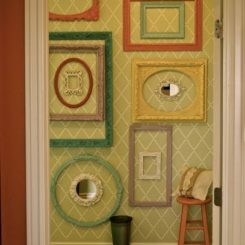 It would be interesting to leave some room at the center for a decoration such as a monogram or perhaps a larger pictures of everyone. 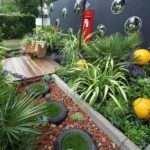 We found this lovely idea on fixthisbuildthat and we think it’s pretty great. 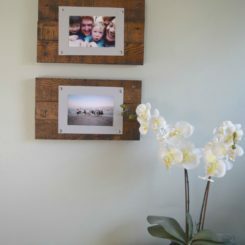 Another way of displaying square family photos can include a dew painted or stained wooden boards mounted vertically on a wall. 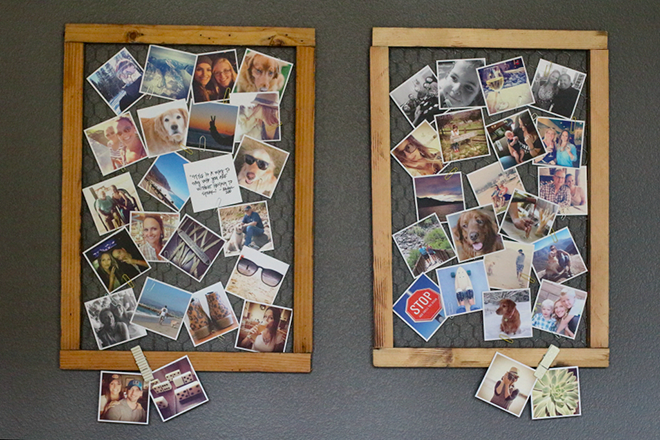 You can have large clips attached to them so you can add or remove photos whenever you want. The photos don’t necessarily have to be arranged in a pattern. Just find a suitable way to mix and match them. Also, they don’t necessarily have to be square. A collage of square photos can look somewhat like the one on modishandmain. 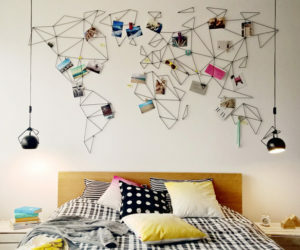 You could print out some Instagram photos featuring all the members of your family as well as your pets if you want and then display them onto a large frame with wire mesh backing. Making the frame is pretty easy and shouldn’t really take very long. 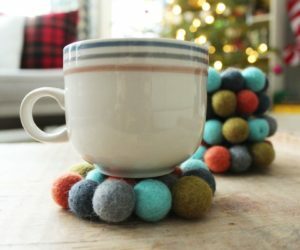 On themerrythought you can find a similar design idea. 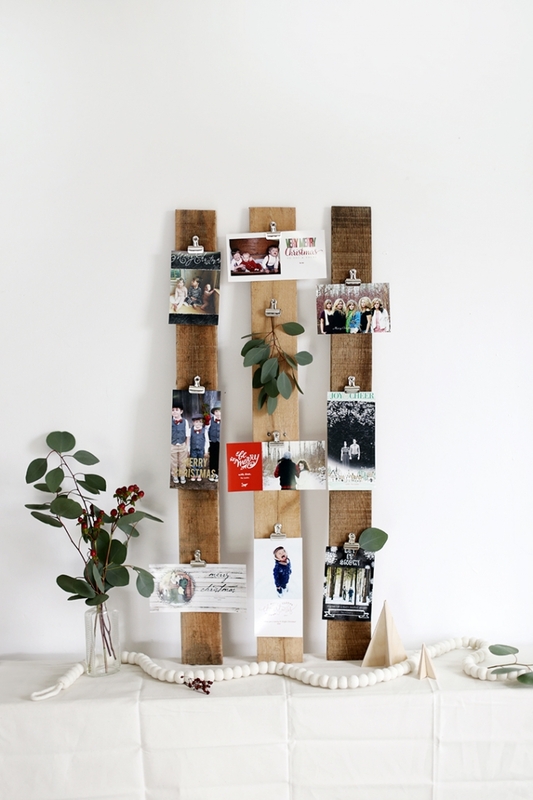 To create this display, you’ll need a few reclaimed wood boards, sandpaper, hangers and nails, a hammer and clips. Cut the wood to size if necessary and sand the boards. Attach sawtooth hangers on the back of the boards and then the clips to the front. 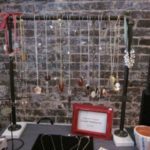 You could also use thumbtacks instead of clips. Similarly, you can have the wooden boards placed horizontally on the wall. The clips described above would still work here but there’s also another idea you can use. 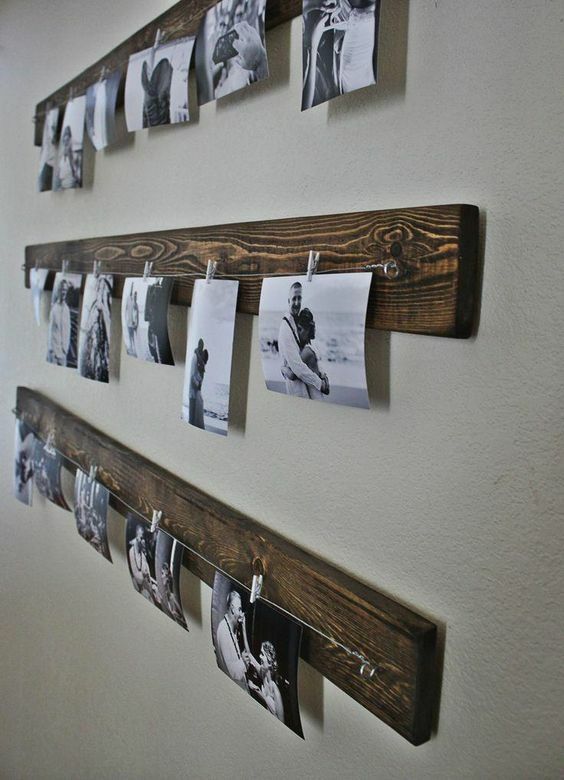 Hammer two nails in each boards and then attach a piece of string or cord creating a line from which to hang pictures using tiny clothespins or clips. 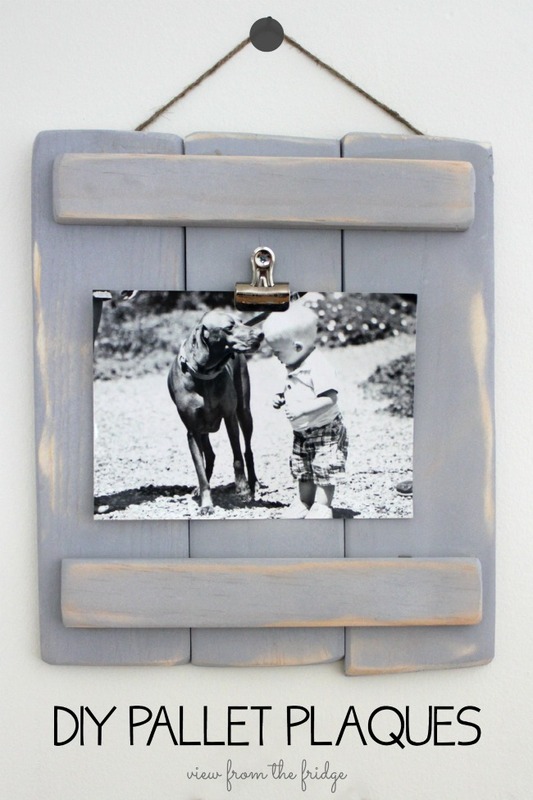 There’s also the option of making individual wooden plaques or frames on which to display each photo. 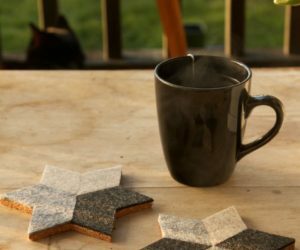 You could use wood boards from a pallet or some scrap wood you already have from a different project. 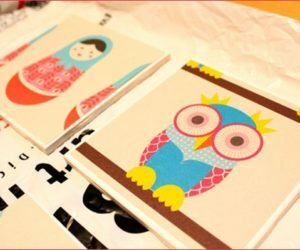 Cut them and glue them together as indicated on ohmy-creative. 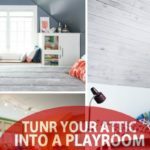 You can paint or stain the wood to make it look more beautiful or to match the existing room décor. 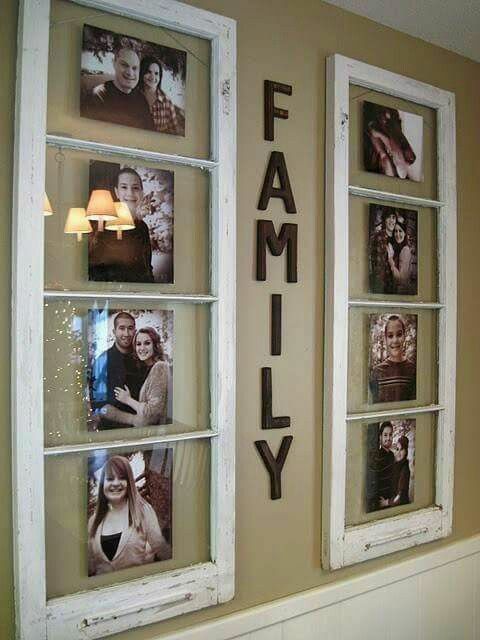 If you’re looking for an interesting and unusual way of displaying your family photos, one idea can be to recycle an old window frame or shutter. 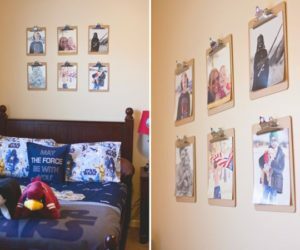 You can turn it into a large picture frame which lets you display several pictures arranged however you want. 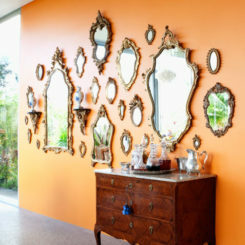 You can complement this display with other types of wall décor. 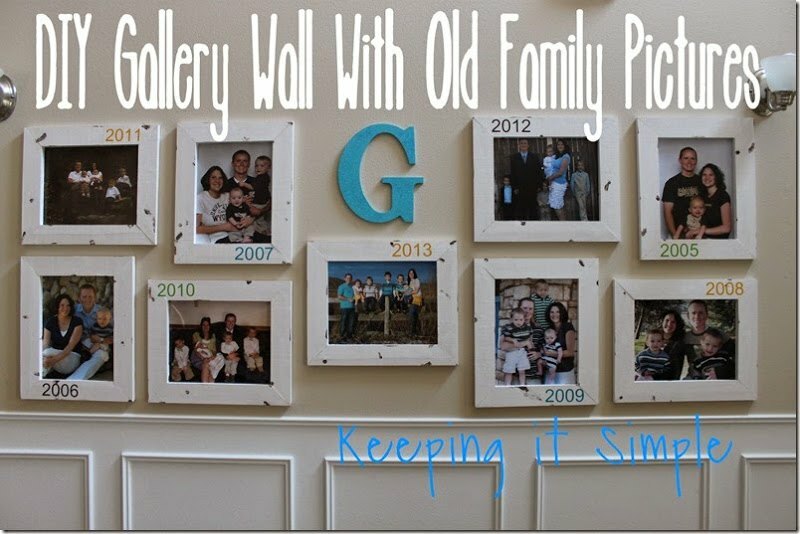 If you want to create a time line showing the evolution of your family then it would be nice to make a gallery wall full of family pictures labeled by year. 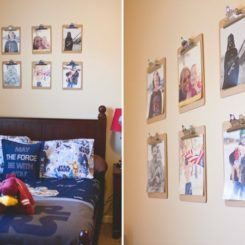 You can make the frames yourself or you can buy them. 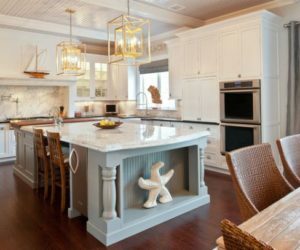 Either way, the décor possibilities are numerous. 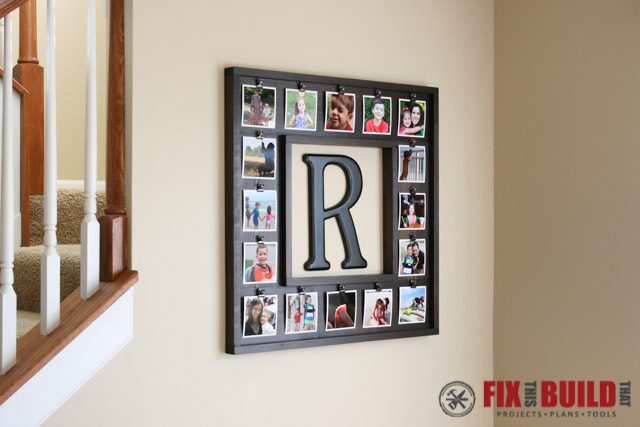 The frames can match or they can feature different shapes, sizes and colors. 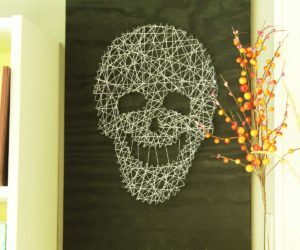 You can also add some addition wall décor if you want. 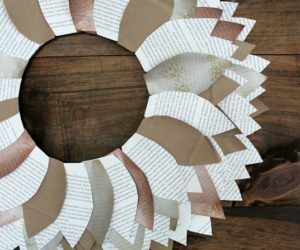 Find out more about the idea on keepingitsimplecrafts. 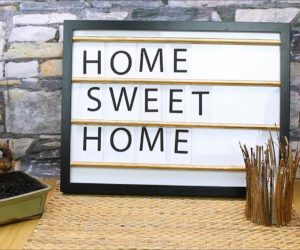 Assuming you’ll want the family photo display to match your home’s décor, let’s see how you can make an industrial display. 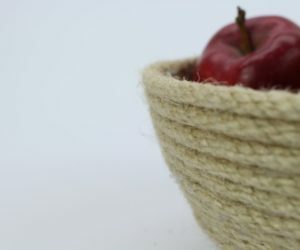 You can find some inspiration for this on krusesworkshop. You’ll need a metal pipe, two elbows, two flanges, some screws and anchors. 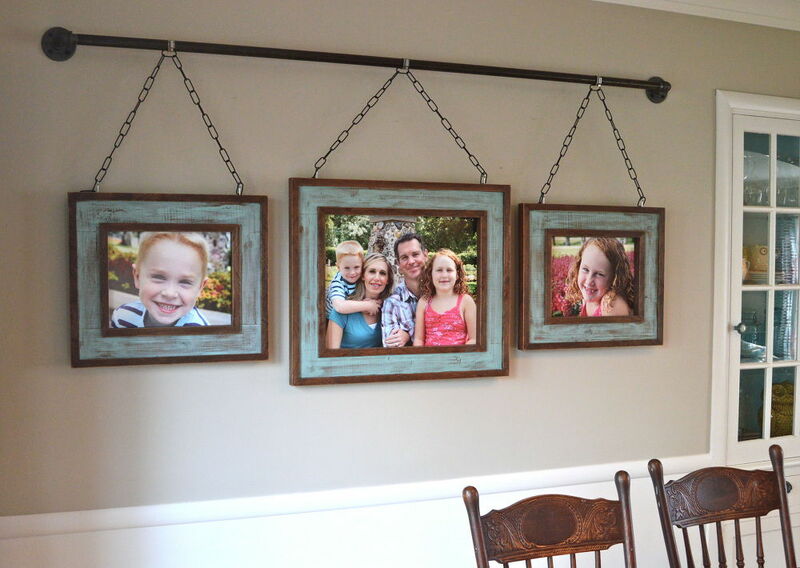 You can attach the picture frames to the pipe using clamps, hooks and decorative chain. 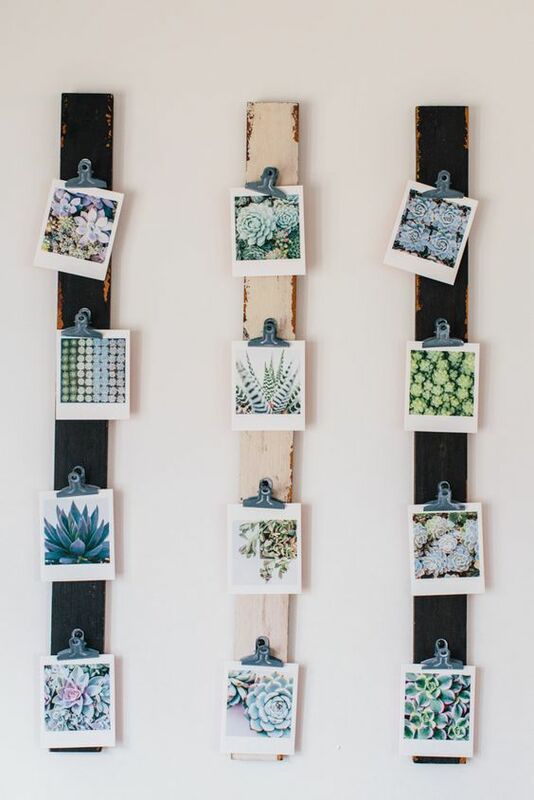 A photo wall can also be created without needing to use any picture frames. 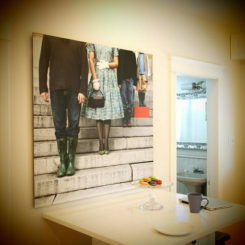 The photos can be displayed in a casual and simple fashion. 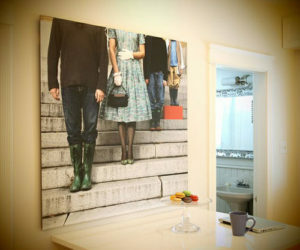 For example, you can select a set of photos that have the same dimensions and arrange them in a row. Then glue a long piece of string to their backs and tie the top end to a tree branch. Repeat to make several picture rows. 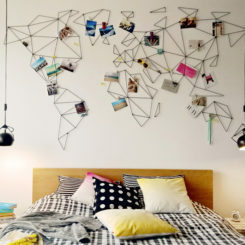 You can also do this with pictures that don’t necessarily have matching shapes or dimensions as long as you’re not interested in creating a grid pattern. 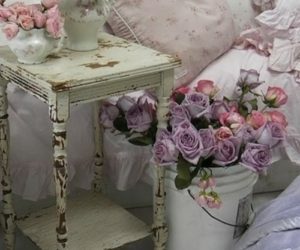 You can also use more than one tree branch and you can have them painted or stained.